Last week I posted about some of my favorite DIY Valentines. And would you believe I actually got around to doing a couple of them today?! Me either!!! Thank you, Pinterest for the adorable ideas! And yes, I know Hayes is only 14 months old, but since I pretty much dropped the ball on Halloween (went back to work!) and Christmas (down with the flu! ), I decided to get into Valentine's Day! I thought these Love Bugs were too cute-and a good alternative to candy for the little ones in Hayes's class. They couldn't have been easier and only cost me $3 for the bugs (my sister kindly shared her paper with me, so I didn't have to buy anything else!). 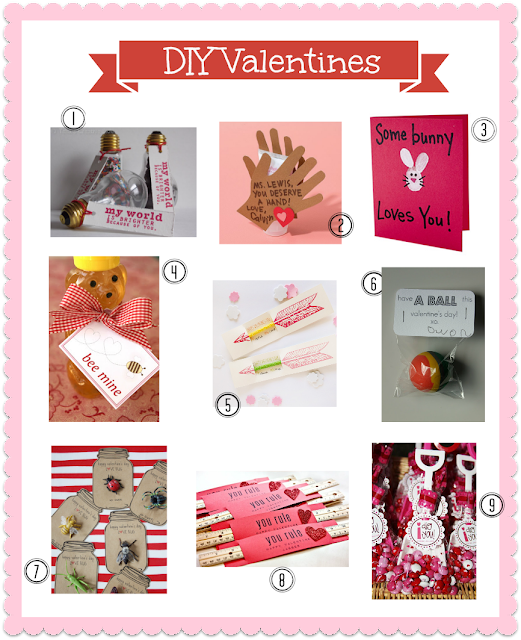 Get instructions for your Love Bug Valentines here. I also wanted to do a little something for Hayes's sweet teachers. 2 crafts in one night-hence the reason why I'm nicknaming myself Martha Stewart-just for one night. Then I'll go back to being my regular ole' self. Not as cute as the love bugs since I hand wrote them, but my creative energy was running low at this point! Get instructions for your happy hands here. What about you, Wayman Family Nesters? Have you been getting your craft on for Valentine's Day? Lately, I've been ready to get my Valentine "craft on." (since you know, Halloween and Christmas decor were pretty much a no-go around here!) I guess I prefer to peruse Pinterest and create a collection JUST IN CASE I was to find tons of extra time to make cute stuff. Hayes is too young to really understand giving Valentines or to take any to his classmates. But I might just have to make something for his teachers and family. I like the idea of a candy-alternative valentine. Just call me the Scrooge of Valentine's Day! What about you, Wayman Family Nesters? Do you go with store-bought or handmade valentines? Do you have the time to get crazy crafty? What's your favorite from my little cyberspace round-up? Last weekend I was so excited to be able to attend the Created for Care retreat, an awesome getaway retreat for adoptive mamas. 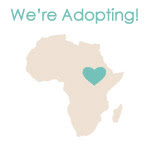 I had been wanting to go for the last couple of years, but wasn't sure where we'd be in the adoption process. So needless to say, this year I was determined to go! I was supposed to go with a couple of friends who ended up not being able to go, but I still went (and am SO glad I did!). I drove down to Atlanta by myself Friday morning (after a slightly tearful goodbye when dropping Hayes off at school) and arrived around 1:00. Since it was sort of last minute that I ended up going alone, I had a room to myself. This tired mama did not mind that one bit! The weekend was a wonderful time to rest, and be refreshed and renewed. It was so incredible to be in a room with over 450 mamas who also have a heart for adoption. The times of worship were some of the most amazing I've ever experienced (and the singing was beautiful too!). I got to "meet" some of my fellow adoption mamas that I've met via Facebook, blogs, etc. I also got to meet some of my very favorite bloggers! Throughout the weekend I continued to pray for God's will for the next step for our family. I'm still processing everything that I took in, so more blog posts to come soon! Sadly, I was having so much fun, that I didn't take many pictures! Here are the ONLY two that I took! I've got to post it to prove to the hubby that I was actually there! More from my amazing weekend to come soon! Happy snow day y'all (for those of us in Tennessee! )!